Straight out of my collection of supercabs! 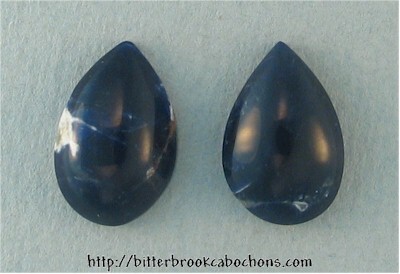 You won't find little Sodalite cabochons for earrings like these anywhere else on the Internet! 13.5mm x 9mm x 4mm. Weight: 6.05 carats. You are visitor number 107 to this page this year.